What are Genotropin GoQuick Pens 12mg 36iu & 5.3mg 16iu? Genotropin Human Growth Hormone hgh is one of the best on the market. This is the newest presentation of Pfizer’s Genotropin rHGH 12mg 36 IU Easy Inject Pens. They are called easy inject pens because they're easy to set up and inject. The rHGH lypholized powder is packaged inside the pen in a clear plastic enclosure and above is the bacterialstatic water. This means that the shelf life of each pen is many years until activated. You combine the lyophilized powder with the bacterialstatic water by twisting the body of the pen in a 3 step process. The Genotropin Pens use a screw on syringe that is super easy to use for injections. 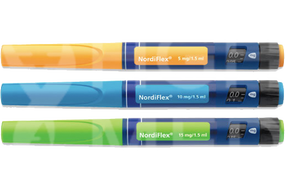 They also have a twisting end piece that allows you to select the dosage you would like to administer and the pen will automatically calibrate to your desired dose. These really are the easiest to use. Does Pfizer manufacture the best HGH? Pfizer has been one of the top companies in the world manufacturing Genotropin HGH human growth hormone. You can be rest assured that this is one of the best products on the market and comes direct from Pfizer. All Genotropin is shipped with frozen gel packs to keep the Genotropin HGH inside the packaging during shipping at a cool temperature to ensure the longevity of the product. Genotropin is a man-made form of human growth hormone that is produced with recombinant DNA technology. Inside the cartridge contains highly purified powder and hygenic solution intended for subcutaneous injections. Genotropin is often used for growth hormone therapy for those who have insufficient secretion of growth hormone in the pituitary gland. Popular amongst athletes and bodybuilders, it is used to increase muscle mass, aid in burning fat, and increase energy levels. Who should not use Genotropin? 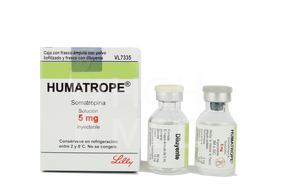 GENOTROPIN is a prescription product for the replacement of growth hormone in adults with growth hormone deficiency (GHD) that started either in childhood or as an adult. Your doctor should do tests to be sure you have GHD, as appropriate." Benefits of Genotropin GoQuick Pens 12mg 36iu & 5.3mg 16iu. "Have had great results with the Genotropin GoQuick Pens. I'm 45 and very active as a surfer, firefighter and the vice president of a title company. People always wonder how I can do it all. I've always had a ton of energy but I have so much more after just 2 months of using the Genotropin. Look forward to feeling the results after 6 months."